A philosophical look at the nature of anger and rage, brilliantly told through a horror story. 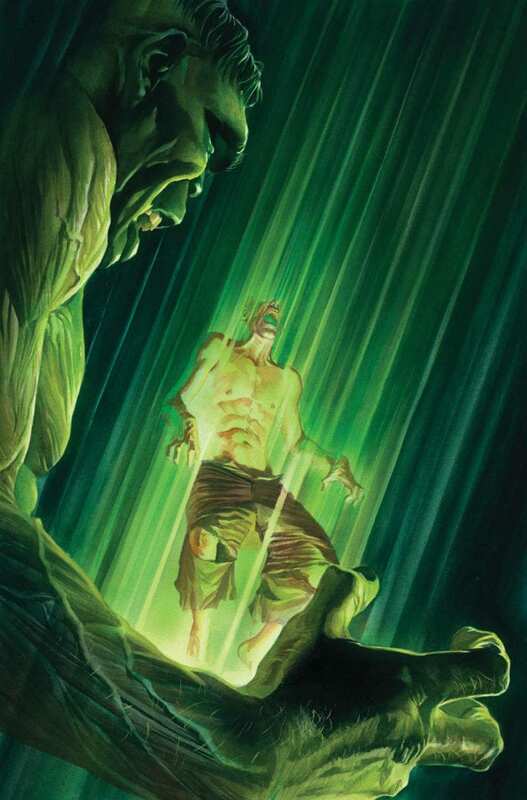 Al Ewing has been crafting a truly haunting horror series with THE IMMORTAL HULK comic line. We’ve seen the fantastically written journey of Gamma Flight and the mysterious Shadow Base as they track down Hulk into New Mexico, eventually being whisked off to Hell through a gamma-powered portal. 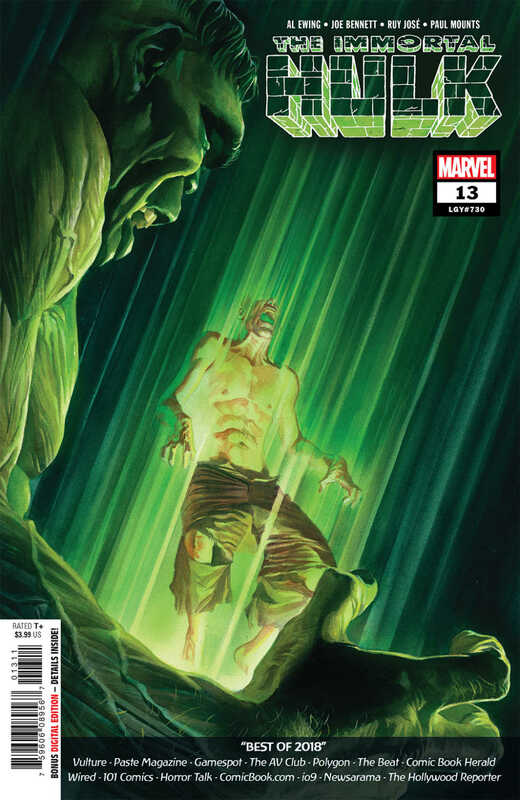 The latest installment, THE IMMORTAL HULK #13, brings this horrific excursion in Hell to a close in classic Hulk fashion. After losing his gamma and becoming separated from Bruce Banner, the Hulk is on a vengeful quest to fight his way out of Hell and punish the one responsible for everyone’s pain. And as we learned in previous issues the head honcho of Hell is none other than Banner’s deceased father. This issue is all about the idea of judgement; it asks the reader to examine their own philosophical underpinnings of anger. Through the issue A disembodied voice of unknown origin poses questions regarding Banner’s, and by extension the reader’s, inner “Hulk.” Thus, we’re forced to grapple with the hidden rage inside us. After taking the reader on a deep dive into the heart of anger itself, we see the story take a turn for the mystical. We’re asked to grapple with the nature of forces beyond humanity’s control. And it’s none other than Puck who offers these thoughts in a conversation with Crusher Creel, a.k.a. The Absorbing Man. Ewing wraps up this story arc with all the best qualities of the Hulk: action, fear and most of all, horror. This version of the Hulk isn’t your classic hero or an anti-hero with “attitude.” Instead, Ewing’s Hulk serves as an archetypal agent of judgement, unleashing his wrath against those who use their anger to inflict pain. Joe Bennett and Alex Ross use their artistic talents to give this horror story the perfect visual representation. The cover art Ross puts together gives readers a good idea of the story to come. Positioning Banner in the center with the Hulk surrounding him shows how much control the Hulk has acquired. 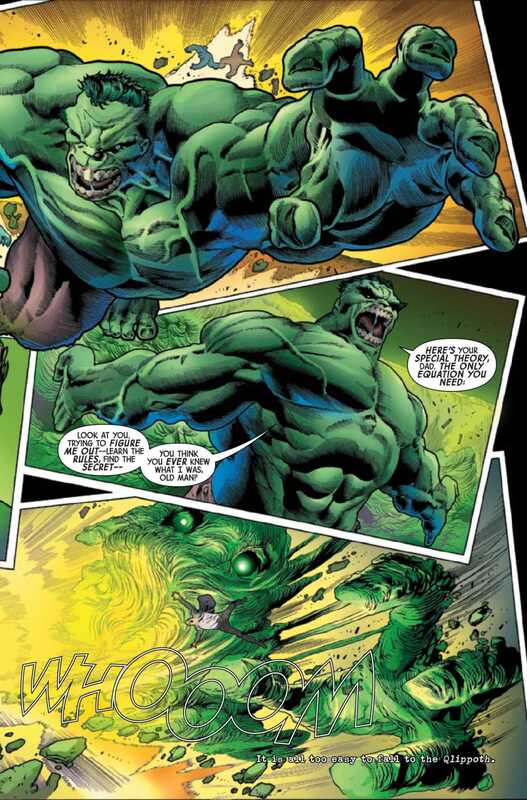 Pastel green lines of gamma radiation shoot through Banner to highlight the return of the Hulk’s true power. 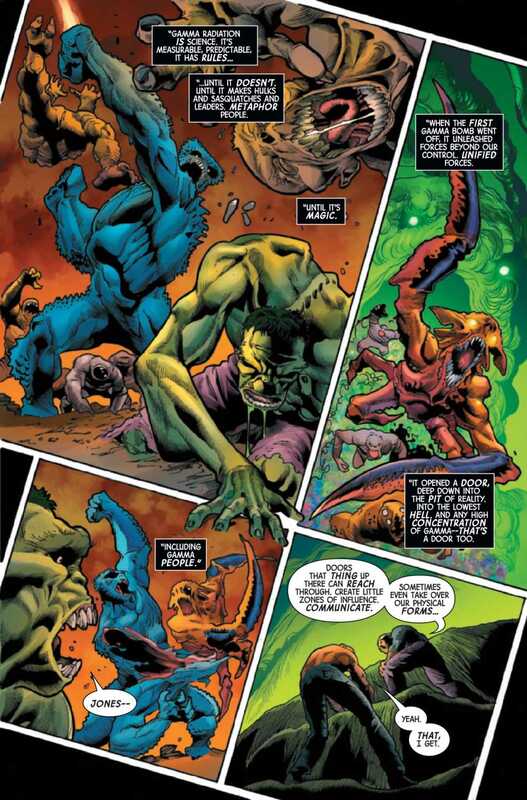 With Bennett handling the story art, readers get to experience a hellish landscape full of gamma-filled Hulk-like creatures. 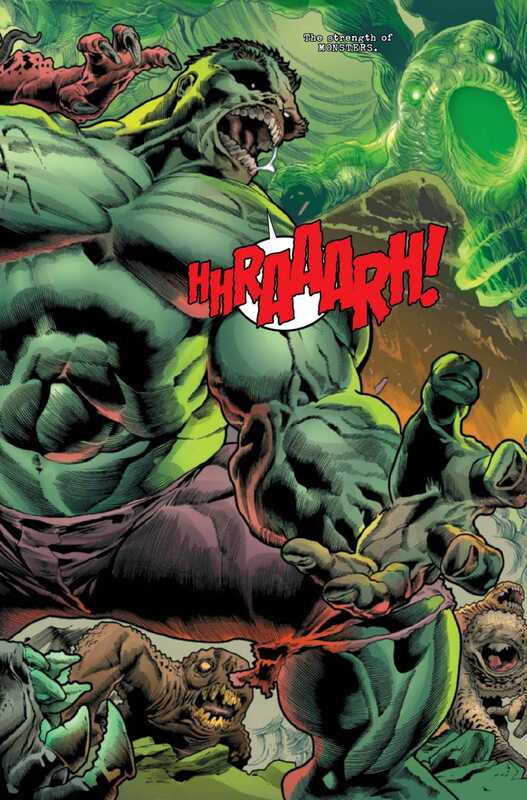 The reader becomes immersed in the Hulk’s rage as he fights a horde of horrific monsters controlled by Banner’s father. This conclusion to the character’s stint in Hell was exceptional. Seeing the Hulk get his gamma powers back, especially with the help of a dynamic character like Creel, makes for an exhilarating story. How are you liking Ewing’s horror writing? Let us know in the comments below!